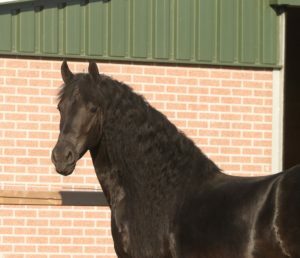 On this page you will find some of our Friesian mares. Click on the picture for more information. Unfortunately, it is not possible for us to put all our horses on our website. 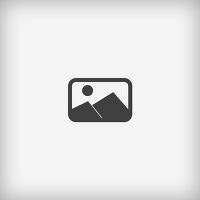 If you cannot find your dreams horse on our website, please feel free to contact us. We are looking forward to help you finding your dream horse! 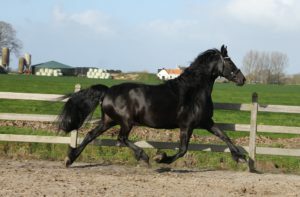 Beautifull starmare in foal with great movements! Beautiful mare in foal of Epke 474, good mover and long manes! 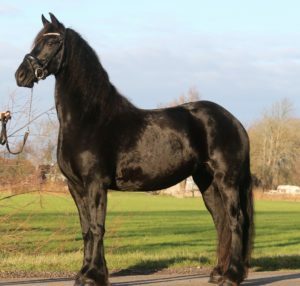 Very luxury 9 years old Friesian Ster mare in foal with a lot of charisma!